Imagine being able to turn on the lights in your livingroom, skip to your favorite song, and navigate your PowerPoint presentation–all with a wave of your hand. This is what the team at Senic has been working on over the last year. 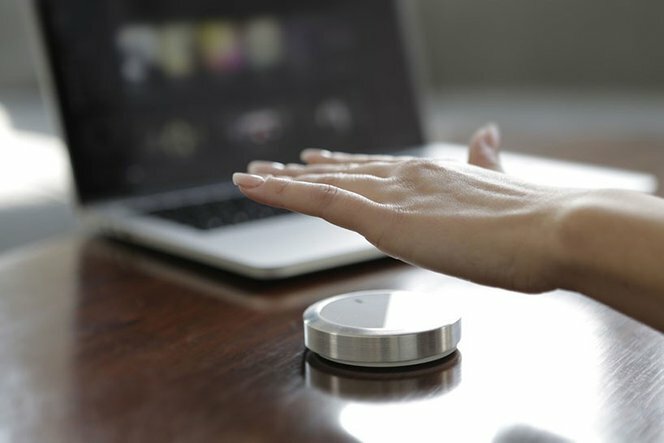 They have created Nuimo, a beautifully designed device that works as a modern remote control: you can control multiple applications like lights, music, and your doorlock, just by clicking, turning, swiping and moving yours fingers over it. After a very successful Kickstarter campaign the team was looking for ways to prototype quickly the internal components of the device. When Felix Christmann, Industrial Designer at Senic saw Formlabs 3D printers, he immediately recognized its huge potential for his prototyping needs. &ldquo;High quality 3D printing is one of the most important tools right now&rdquo;, says Felix. Thanks to Formlabs' stereolithography technology, the company was able to rapidly prototype more than 30 different iterations before finding the final design. In contrast to commissioning a printing bureau and paying over 100€ per piece – a 3D print with their Formlabs printer cost them less than 4€ each. Felix printed the components using Tough resin in order to test tolerances for the first round of manufacturing. So far, Senic has run two crowdfunding campaigns on the Indiegogo and Kickstarter and is now aiming to ship their final Nuimo version to their customers this January.